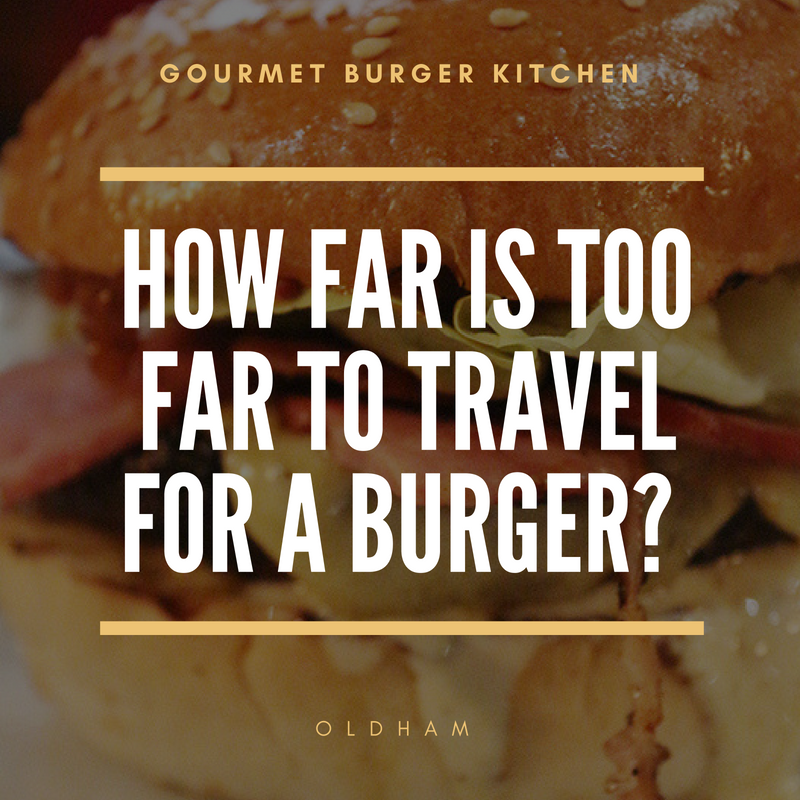 “How far is too far to travel for burgers?” she asked. “We will go anywhere” they said. Oldham is officially the best place in the UK for halal burgers – the best by a mile. And this is no exaggeration. The actualy accolade goes to the Gourmet Burger Kitchen (GBK) who have created an entirely halal food menu, perfect for date night or treat night with the family. We arrived on a cold, wet night in December. The town was dead, pretty much not a single person in sight. This may also have been because it was a school night. We walked over to the relatively new complex in the heart of Oldham which houses a lovely cinema and a smattering of eateries. GBK was there, looking brand, spanking new. Gleaming windows glinting under the street lights outside and perfectly pristine of the inside with the type of comfortable interiors you would expect. We were greeted by a friendly chap. This was the first time most of us had been to Oldham but this guy was a proud Oldhamite, born and bred. He talked us through the new menu and made some suggestions. It was about 8pm so we were all pretty knackered. Queen Jet Set was down with a nasty cold and so decided to hang back and let the ravenous three order first whilst she contemplated what she could stomach. We were so excited, let’s just say, we literally went for it. For starters, we tried the halloumi bites with kiwi and habanero hot sauce as well as the chicken thigh bites with sriracha mayo (the latter is now a highly welcome new condiment in the Patel household). Both starters were amazing. The chicken thigh bites in particular, just beautiful. Melt-in-your-mouth, moist chicken accompanied perfectly by the spiced mayo. But the evening was really all about the burgers… and then they arrived , glistening in their own right like the royalty of all burgers! I had decided to go for my the GBK Cheese & Bacon (the bacon being turkey bacon). The turkey bacon was unlike any other I have had in the UK. Nothing like the ones you get in Worldwide on Wimmy Road (aka Wilmslow road aka curry mile). These were just beautiful and accompanied the beef patty perfectly. I also opted for Applewood cheese with mine, just the right amount of smokiness to compliment the BBQ sauce. Like harmonies in the chorus of a song! (Can you tell how much I enjoyed the food?). The burger size is generous to say the least – this is not ridiculous Man vs Food type nonsense, but you will feel fairly stuffed by the end. Especially if you have had a starter. I also ordered a side of skinny fries with mine and out came my favourite type – the most delectable matchstick fries ever seasoned to perfection. The others devoured their orders with the same levels of appreciation. I can safely say that the standard of all the food was simply exceptional, we were all talking about coming back. By the end of the evening there was no room for dessert, but the head chef came out to talk to us about the menu and how he had personally requested the halal menu (even though he himself was non-Muslim). He said the reception had been very popular and that people were travelling from as far as Yorkshire to try the food. I consider myself somewhat of a burger connoisseur and I can safely say that to my knowledge, there is not a single other place that I have been to that has this level of gourmet burger in this country. Will we be back… You can bet your bottom dollar we will! !